When you live in an area known for its natural beauty, you become proud and extremely protective of that beauty, much as a mama bear is proud and protective of her babies! The Big Bear Discovery Center is our version of mama bear. Designed to be the gateway to all that is wonderful about our region while also providing education on the importance of conserving this beautiful country. Located at 40971 North Shore Drive off Highway 38 in Fawnskin, California, the Big Bear Discovery Center is a key stop when planning your Southern California vacation. The kind and helpful experts located here know ALL the secrets to a fun and safe visit to the San Bernardino Mountains. Sponsored by the non-profit Southern California Mountains Foundation and the US Forest Service, the mission here is to support, protect, and educate. The Big Bear Discovery Center is the hub of all they do; this is where you go whenever you need passes, permits or even maps that lead you to forest roads for off-roading adventures. The amphitheater at the Center is central to all entertainment events, hosting plays and concerts, as well as educational programs designed to engage your attention as they educate your mind. The Big Bear Discovery Center also works with scouts and school programs, spreading the message of conservation and protection to the very people who will one day be in charge of our world. The Big Bear Discovery Center is open Thursday thru Monday from 8:30am to 4:30pm. Offering adventure passes, hiking and biking maps, camping information, maps of the forest roads and off-road adventures that can be found along the trails, and interpretative programs and tours headed by naturalists that can answer all your questions, the people that work for the Discovery Center Big Bear are passionate about the outdoors and its inhabitants. 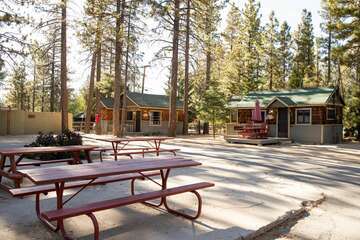 This is also the place to go whenever you need any kind of forest service permits; they are pretty much a one stop shop for anything and everything you need during your visit to the San Bernardino forests. We learn something new every time we visit, even after spending a lifetime in the area! 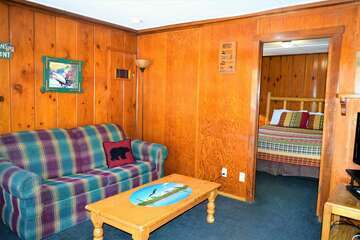 Book your romantic and rustic Big Bear Cabin today and start planning the vacation of a lifetime. 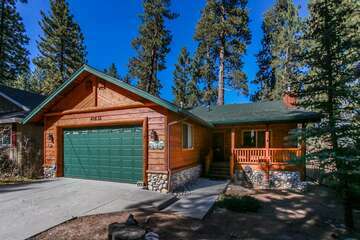 Big Bear, and the valley surrounding the town, is one of our favorite places on Earth, and after one visit, we think it will be yours too!